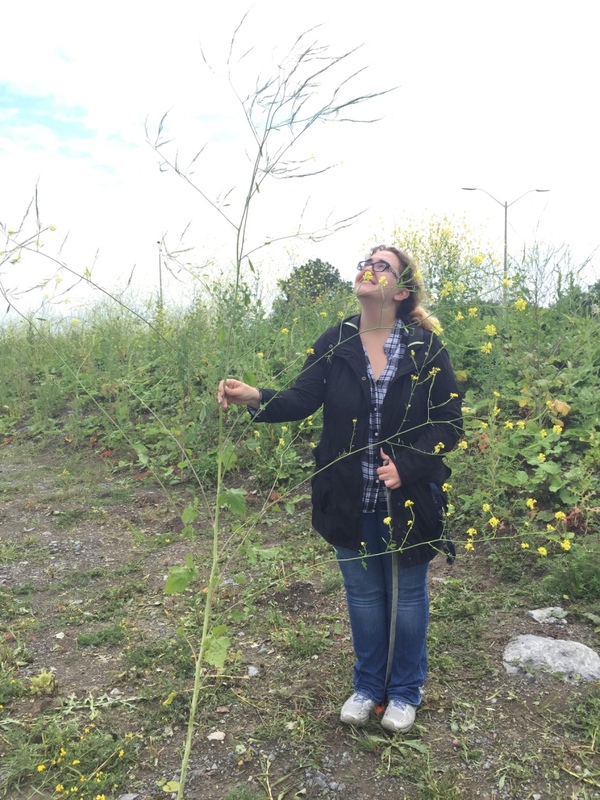 This week Dispatches from the Field welcomes Jenna Finley, an undergraduate student from Queen’s University studying plant ecology, to tell us about her first time in the field with her supervisor. Check out the end of the post to learn more about Jenna! My very first field season has now come to an end. I managed to learn a lot and pick up a few good stories at the same time. The earliest, and as it turns out the most important, lesson I learned came courtesy of my supervisor: things go wrong sometimes and there’s nothing you can do about it. Although he didn’t phrase it quite like that! The day I learned this lesson, I had only been in the lab for about a week. I had been in the field twice since my arrival, but for the first time, I was going out with my supervisor. The plan for the day was simple – he was going to show me around a few sites that he thought would be good for the experiment I was going to run. Most of the day would be spent in the lab van, probably in silence, as I tried really hard not to give a bad first impression of what it’s like to work with me. It was a gorgeous June morning: the sun was shining, the birds were chirping, and I was full of hope. I ended up driving, even though every fibre of my being told me this was a terrible idea. But despite my initial misgivings, I actually ended up feeling a lot better as the morning wore on and the situation turned out to be less awkward than I’d feared. 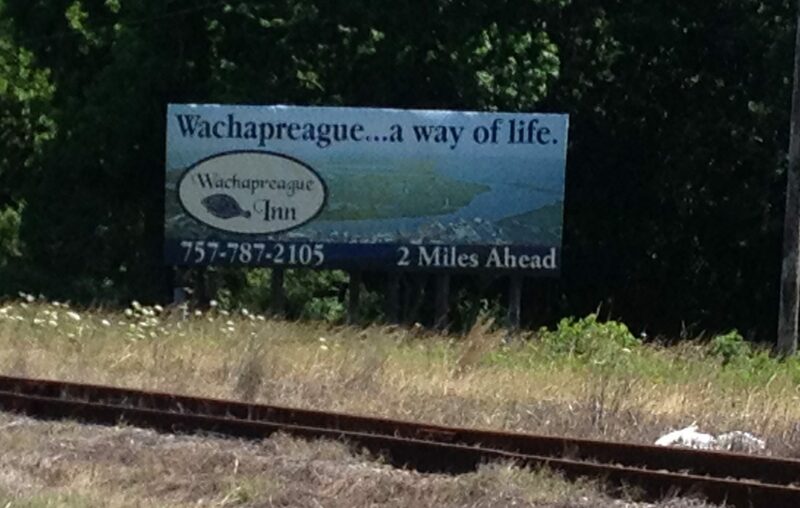 Just before lunch, we stopped at one final site. The field was across from a cemetery, filled with bird boxes, and only accessible by driving down a gravel incline. Getting in was no problem. We looked around for a bit and my supervisor told me a little about the history of the field before we decided to move on. I tried to reverse back up the incline, but the van slid back down, presumably due to the loose gravel under the wheels. I turned to my supervisor, hoping he had a plan, only to see him getting out of the van. He told me that he was going up onto the road to make sure no other cars were coming, and when he gave me the all-clear, I was going to floor it. This wasn’t the type of plan I had been hoping for, but I had no other ideas. A hundred worst case scenarios flashed through my mind, but I just nodded, praying that I didn’t overdo it and end up stuck in the cemetery across the road. As soon as I got the thumbs up, I stomped on the gas and immediately started moving… for about two seconds. Instead of backing straight up, the van slid sharply to the and very quickly jerked to an abrupt halt – even though I had yet to release the gas pedal. The mystery was solved when I got out and looked underneath the van. 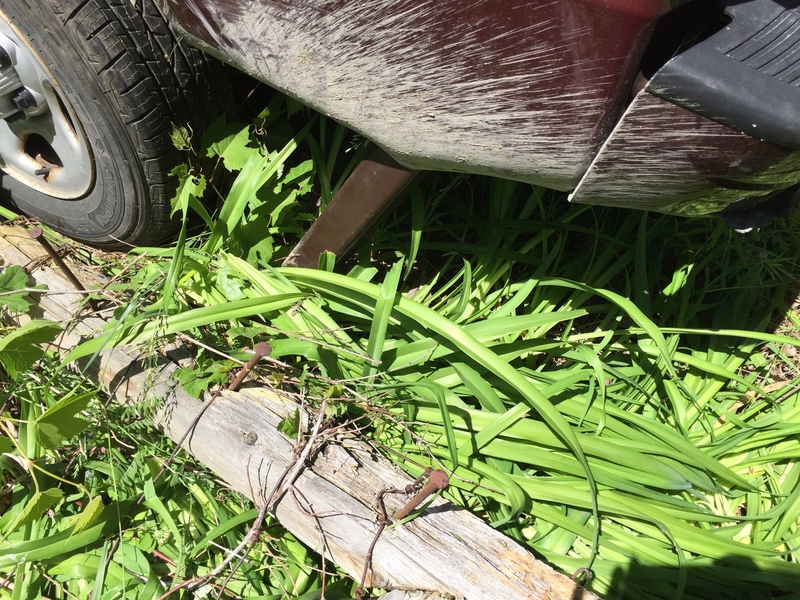 It turns out that when I slid off the incline, I landed on top of a short fence post… effectively impaling the vehicle. Luckily we had cell service and were able to call the nearby field station for help. 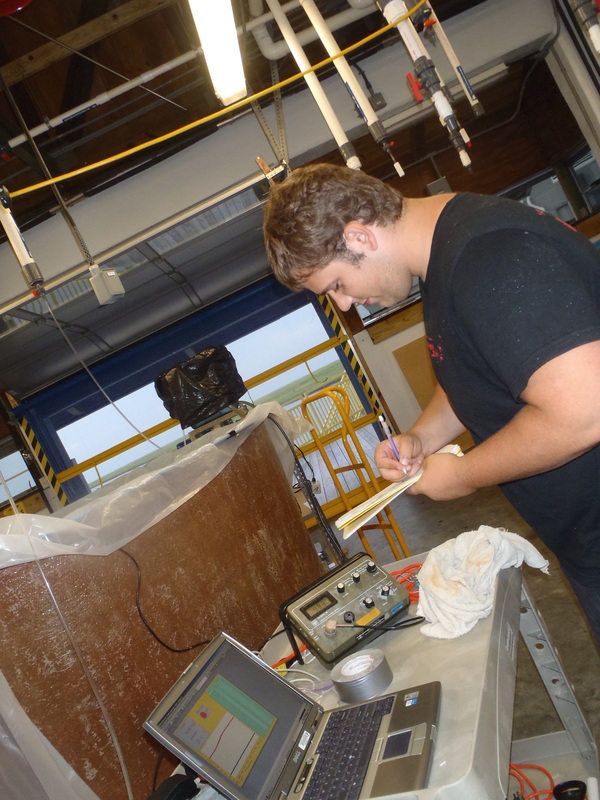 As I felt horror and total mortification flood my body, my supervisor chuckled. When I looked at him, he said ‘s*** happens,’ and started snapping pictures he thought would be great to showcase during my seminar in a few months. He seemed totally unconcerned with the situation we now found ourselves in – in fact, he ended up presenting it as a plus, telling me people would find it hilarious. The more he spoke, the more I began to see the bright side in the situation myself, and finally managed to have a pretty good laugh… even when we found out that it would be a few days before our van could be recovered. And the day was not lost! We were dropped off at another vehicle to continue where we’d left off. So while I was still pretty embarrassed, everything turned out a lot better than I imagined it would in the moment. And I’d picked up a valuable lesson that served me well for the rest of the season: ‘s*** happens’. Not to mention, it was pretty nice not driving for the rest of the day. Jenna Finley is an undergraduate thesis student at Queen’s University focusing on plant ecology. Since joining Dr. Lonnie Aarssen’s Lab, she has been looking at plant adaptive strategies involving meristem allocation and the affects of factors like body size, leafing intensity, and apical dominance on those strategies. She also works part-time in the Queen’s University Phytotron, trying to always stay connected in some way with her plant brethren. She can also be found on Twitter: @Jennafinley. What is the meaning of “field” work? Does it have to be outside? Do you have to be running around chasing after your study species? Does it have to include getting wet or dirty or sun burnt? According to Wikipedia, fieldwork is the “collection of information outside a laboratory, library or workplace setting”. Maybe the “field” part is a lot more versatile than what you (or I) originally thought. 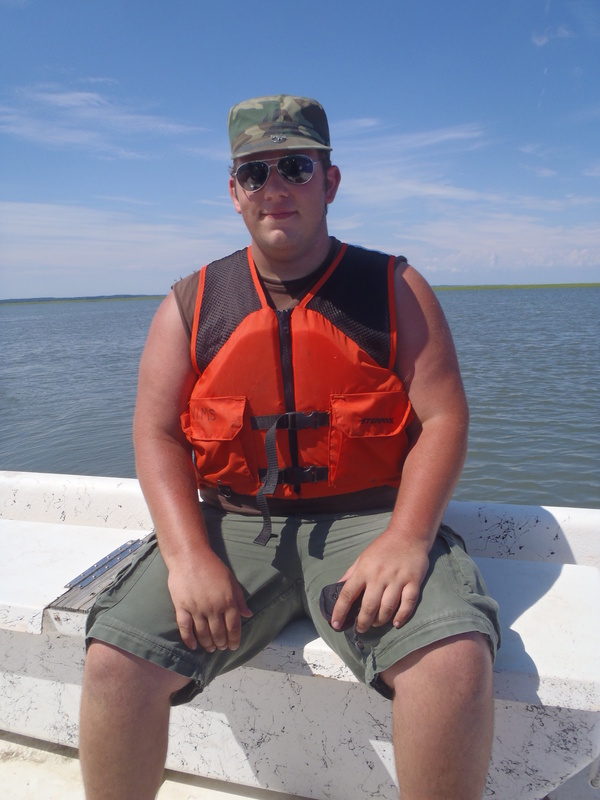 My first “field” work experience was collecting samples for my undergraduate thesis project. In such a short time frame to complete a research project, I was excited to actually be collecting my own samples! However, collecting samples for my project didn’t end up meaning what I thought it meant when I read the project description. We did not have to snoop around in the mud looking for seabird burrows. 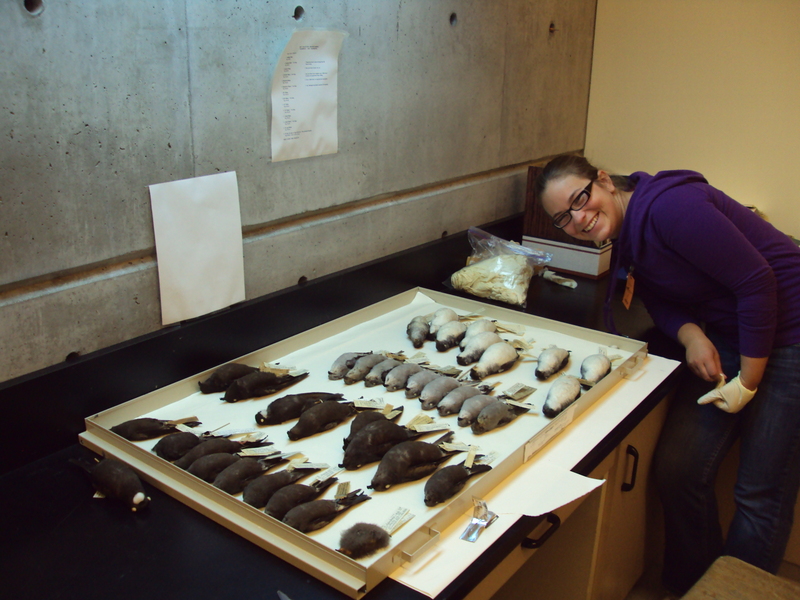 Instead, we were snooping around behind the scenes at the Royal Ontario Museum looking for seabird specimens. It may not be the tropical island that many seabird biologists get to visit to collect samples, but I was still excited to get out of the lab for a day. The behind-the-scenes archives in museums are quite astonishing. 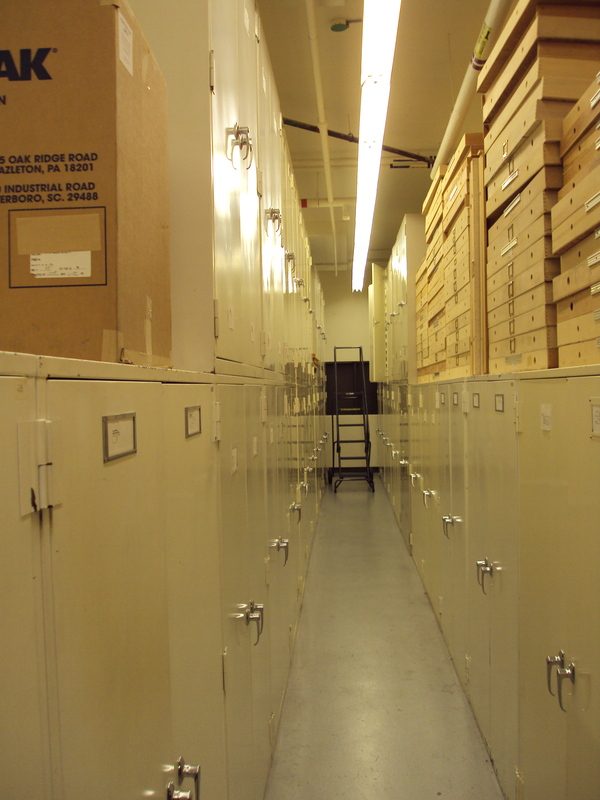 In the bird archives of the ROM, there were rows upon rows of shelves stacked up to the ceiling with drawers full of bird specimens. The extensive drawers on drawers of bird specimens at the behind-the-scenes at the ROM. Besides being awestruck by the number of bird specimens squeezed into these drawers, I was interested in finding specimens from the tube-nosed seabird subfamily Hydrobatinae, the northern hemisphere storm-petrels. In my biology classes, professors always stressed that museum specimens are very valuable. I never truly understood just how valuable until I used them in my own project. For one, museum specimens offer a glimpse into a timeline where you can see changes in traits over time. These traits can also be compared among species very easily when they are laid out side by side. You may recognize differences that you otherwise would not have noticed if you were catching species in the wild at different times. In addition, museum specimens also offer an opportunity to see species that you might otherwise not be able to see in the wild (i.e. if they are hard to catch). This was the important point for my project! Excitement from being so close to my study species! There are 14 species in the Hydrobatinae subfamily. 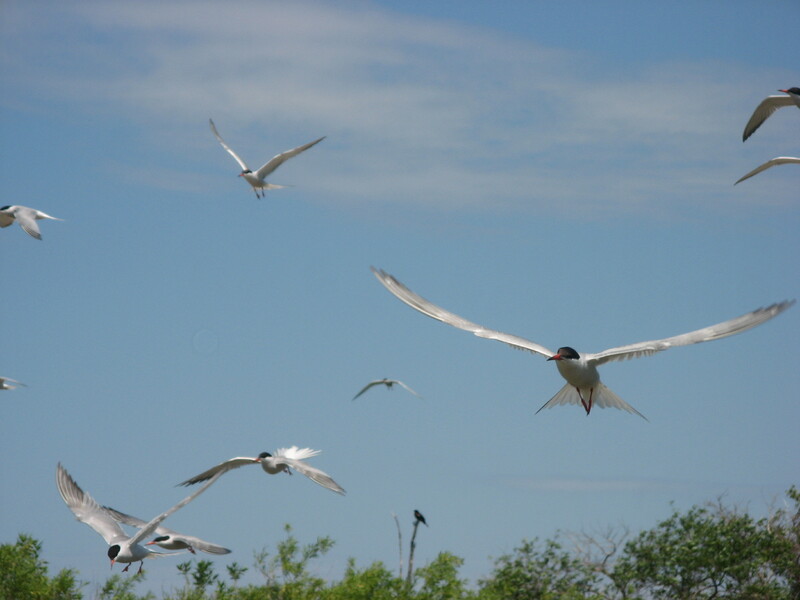 They are distributed across the globe, making it difficult to collect samples from every species. Therefore, we relied on a lot of museum samples for our study. In addition, besides some minor plumage differences, they look very similar (as you can see above). Because of this, I used genetics as a conservation tool to investigate how the different species arose. I was able to collect a toepad (carefully of course so that we did not damage the specimen) to extract DNA from once I was back in the lab. Oceanodroma macrodactyla, the extinct Guadalupe storm-petrel. Check out the characteristic tube-nose! Not only do museums allow you to study birds that may be hard to catch in the wild, they also let you study species that you can no longer catch in the wild. 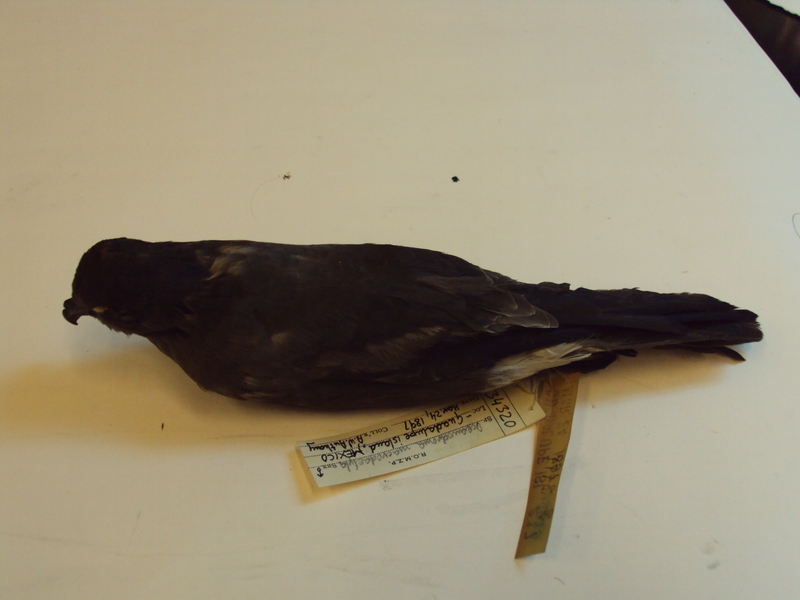 The ROM had specimens of extinct birds, including a passenger pigeon, a labrador duck, and a great auk. I also got to collect a toepad from Oceanodroma macrodactyla, an extinct storm-petrel species from Guadalupe Island. I felt like I was on CSI extracting DNA from a species that longer exists in the wild! Next time you are at a museum, remember to think about all of the value you can get out of observing these specimens and thank a museum curator! 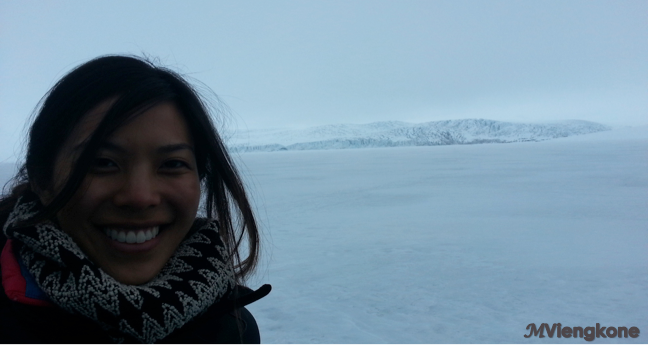 This week, Dispatches from the Field is excited to welcome Michelle Viengkone, a former M.Sc. student (and one of Sarah’s field companions in Mexico), to tell us about her field season working with polar bears. Check out her biography at the end of the post! When I took my first trip up north to Canada’s Arctic to participate in a non-invasive sample survey of polar bears, I was 21 years old. Fast-forward 5 years and it still gives me goose bumps thinking about the experience: from the people, to the sights, to the cold fresh air. 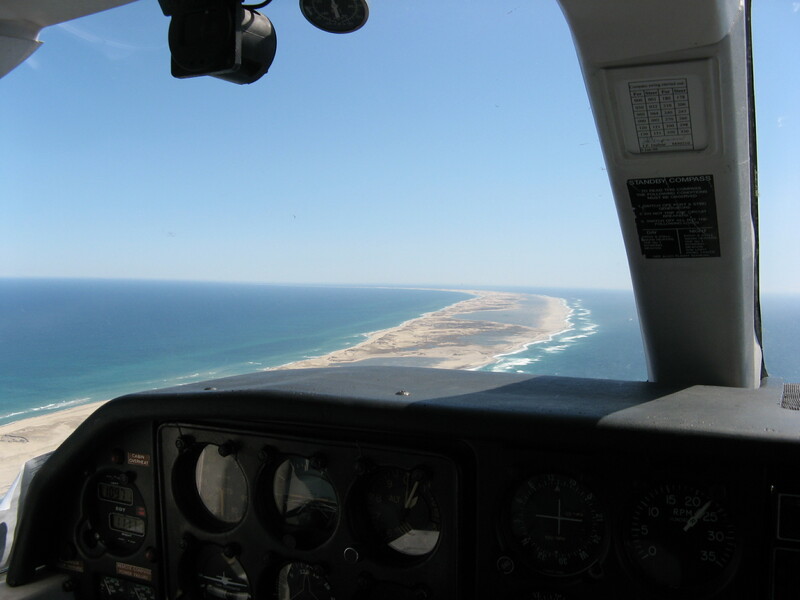 It is a pleasure to be sharing this experience via Dispatches From The Field in a guest blog. I would also like to acknowledge that the learning moments that I describe here are a product of an opportunity made possible by De Groot/Boag lab, Queen’s University, and Northern Scientific Training Program. Warm feet make for a comfortable ride on the sled. Learning moment #2: Feeling alone and being alone are two different things in the Arctic. After a few delays, the majority of our field team including myself, the PhD candidate, two European researchers and two Inuit guides set out from Gjoa Haven to our field hut. It was glorious: I was bundled with ski goggles in place; mitten-covered hands grasping onto the ropes wrapped around our equipment and supplies of our sled. The scenery, the pull of the snowmobile ahead, and the stillness of the surroundings were all wonderful. The ability of the Inuit guides to navigate the landscape amazed me; however as the sun went down and we realized that we were not even halfway to the field hut, we realized we had to make camp. We made it to a small fishing cabin, and we dug our glorified wooden box out of the snow while the guides pitched a tent outside, got a stove going and were warming up. Once in the fishing hut, the four of us researchers laid in there like sardines, trying our best to keep the door closed from the wind and get some much-needed rest. I have to admit that first night was a bit scary: you hear everything from the howling wind to every little crunch in the snow. Eventually I fell asleep, wedged between two new companions. What felt like moments later, we woke to the sound of thumping -like full body contact on the side of the cabin. We figured it wasn’t a polar bear (it didn’t seem heavy enough) but thought it may be a wolf. Panicked and without weapon to drive the culprit away, we began to scream for the guides and bang pots and pans to scare “it” off. All four of us were barricading the door and listening between the thumps when we heard footsteps rounding the corner coming towards us, and then a knock. It was the guide! He had been thumping against the cabin walls trying to reach a rope draped on the roof! Our fears subsided and we began our day with an oatmeal breakfast. That relief was jarred by the reality of being in the wilderness as we spotted fresh wolf tracks, droppings, and urine markings around our site. In order to set up traps, we wanted to make sure polar bears were using the area. Guides identified fresh tracks for potential hair traps. 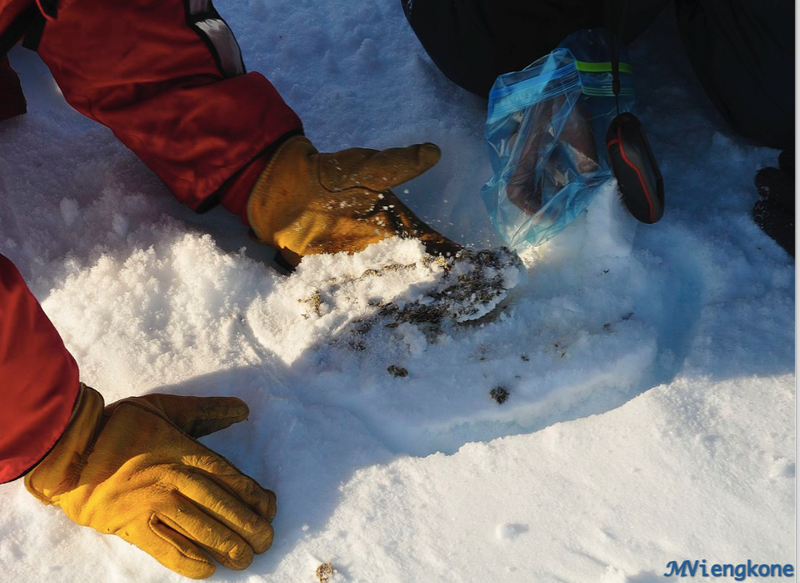 Learning moment #3: Emotions can run hot and cold when in the field – even in the Arctic! The field is a tricky working environment because you work and live together all day, every day. Back in the city, you can leave work behind and go home; in the Arctic, regrouping and having alone time are complicated by the remoteness, the undeveloped field stations, and the dangers of straying too far from camp. 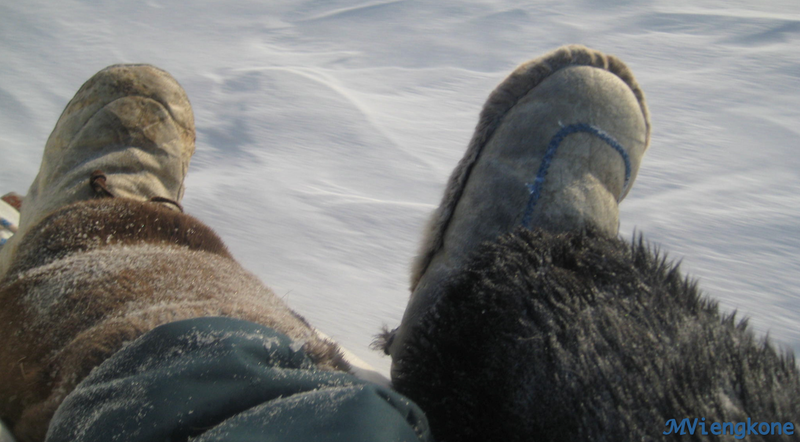 Everyone has a different way of finding that solitude in the midst of a research team: I found my refuge hanging onto the sled and letting the landscape wash over me on the long sled rides between field sites where we set up hair traps. The long days and hard work could take a lot out of everyone, and that combination of physical and mental exhaustion sometimes provided fertile ground for interpersonal conflict. I learned that when emotions run high in the field, being able to take a moment for yourself while also ensuring others know where you are is key to keeping yourself safe. 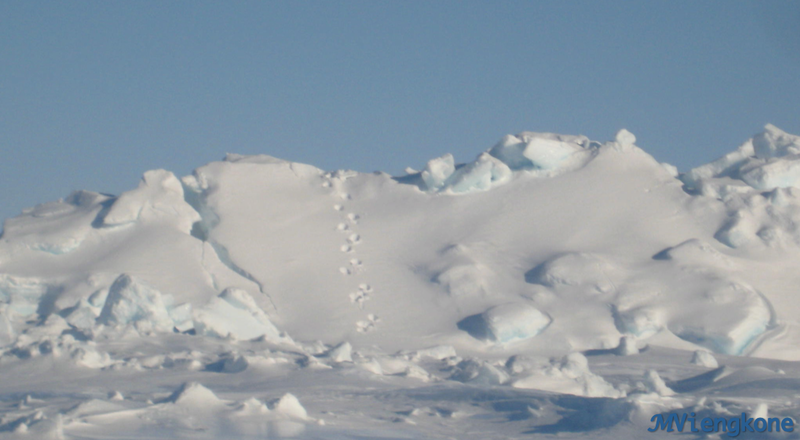 Our field days were filled by traveling in search of fresh polar bear tracks, setting up hair traps and returning to them in subsequent days to collect snagged hair samples. We also kept a look out for polar bear poo, and bagged that too! On our days out we didn’t see much in terms of wildlife, aside from a seal head popping up from a breathing hole in the distance and rock ptarmigan hopping about. I was relieved to not have encountered a polar bear – seeing tracks and chipping poop into a Ziploc was enough for me. This is mostly because human-bear interactions often result in injuries to human and polar bear alike, the polar bear being shot and/or the human becoming a snack. Polar bears are naturally curious, let alone destructive. Here’s a used hair trap and the hair snag. Opportunistic sampling of polar bear poop was a part of the project, we bagged and labeled sample with GPS coordinates. For some, the expectation was to see the white bear, but it did not look promising as we woke to our last day before us. As with the days before, getting breakfast going was the priority – for oatmeal you need boiling water, so that’s where a pot full of snow comes in. The PhD student went to fetch the snow but upon opening the door to the cabin she was greeted by the stunned faces of Tundra wolves! She turned around and closed the door calmly, but when pressed about where the snow was she softly told us about her encounter. Later on, after giving the wolves time to move along, she retrieved the snow and got breakfast going. I got ready and waited my turn to use the latrine that morning, checking to see when it was my turn. On one of those checks I suddenly lost the urge to pee as one of the crewmembers spotted a teenage male polar bear just down the hill from us, a mere 200m away. The bear’s presence energized everyone. Soon enough the Inuit guides hopped on their snowmobiles and tried to drive the curious bear away. Once the bear was sufficiently tired, the chase was over and he went on his way disappearing into the whiteness. We decided to check out the area of the chase and we found flecks of blood in the tracks, likely from cracked footpads. We took a sample just in case! It was quite the introduction to the Arctic and I’m thankful for the opportunity to have been a part of the research project. Our work would not have been possible without the support of the community. There’s no place quite like the Arctic, I hope we can strive to keep it that way. 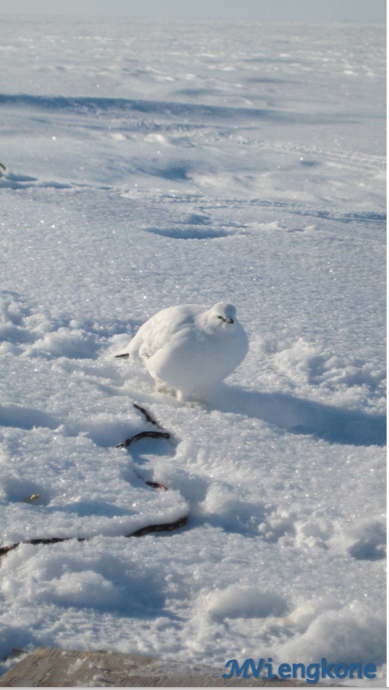 Little rock ptarmigan near the field hut. Originally from Ontario, Michelle studied at Queen’s University for her Bachelor of Science during which she became involved in a non-invasive study of polar bears in the M’Clintock Channel and Gulf of Boothia. Having developed laboratory and field skills, she opted to take a gap year before pursuing graduate studies. Through marine mammal research internships, volunteering on research vessels and traveling to New Zealand, Edmonton was to be her home for 2-3 years in pursuit of a Master’s degree. Continuing research on polar bears, she defended her thesis examining the population in Hudson Bay in the spring and currently is living in Calgary and gearing up for a season of guiding in Churchill. From Michelle: “I hope you enjoy this blog, thanks for checking it out here on Dispatches From The Field. Ciao, Michelle Viengkone”. My friend is not alone in her misconception. For most people, the word ‘scientist’ conjures images of serious people wearing white lab coats and safety goggles, ensconced in pristine labs full of Erlenmeyer flasks and microscopes. Few people immediately picture dirty, windswept individuals wearing an excess of plaid, large floppy hats, and socks with sandals. Fieldwork isn’t usually the first thing the general public associates with the word ‘science’. And this misconception often extends to science students as well. As an undergraduate in Biology, I spent a lot of time gathered around lab benches counting fruit flies or looking at slides – but I didn’t really understand that science doesn’t always take place in a laboratory until I was in third year. 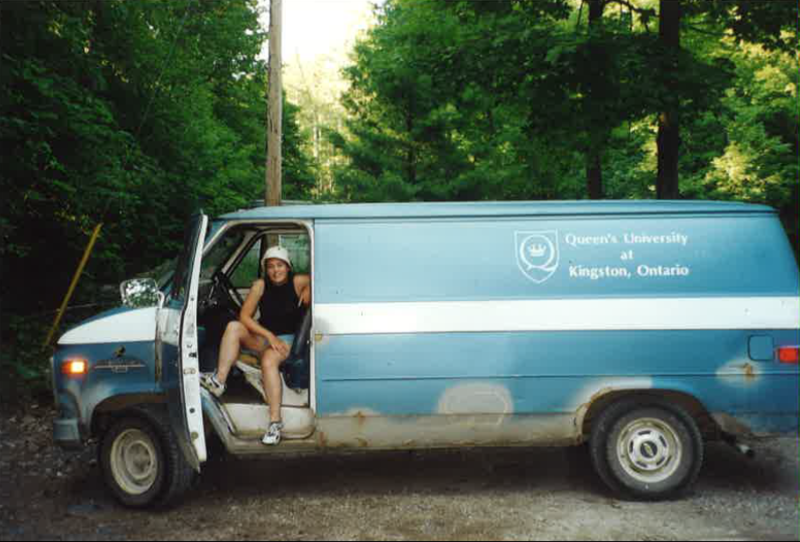 That year, my ecology course went on a mandatory weekend field trip to the Queen’s University Biological Station. This trip was a long-standing tradition in the course; its purpose was essentially to introduce us to some of the questions, methods, and experiences of field biology. Years later, that trip is one of the few things that stands out vividly in my memories of undergrad. I remember dragging myself out of bed obscenely early to catch the bus to QUBS (and getting carsick on the twists and turns of the gravel road). I remember stepping out of the bus into quiet air that smelled faintly of pine and rain. I remember tromping through a field wet with dew to check live traps for small mammals, and I definitely remember the large and extremely angry weasel that the lab coordinator very carefully released from one of the traps. 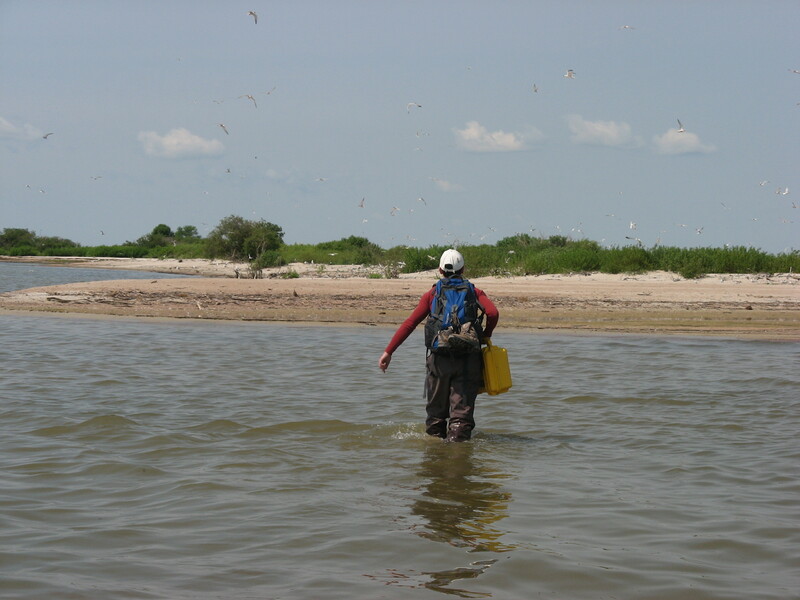 I remember discovering that chickadees, although small, pack a surprisingly powerful bite, and the moment I realized that the chest waders I was wearing to seine for sunfish had a rather large leak. Most of all, I remember being completely entranced by the whole experience. That field trip was my first real exposure to the world of field biology – and clearly it made a lasting impression. 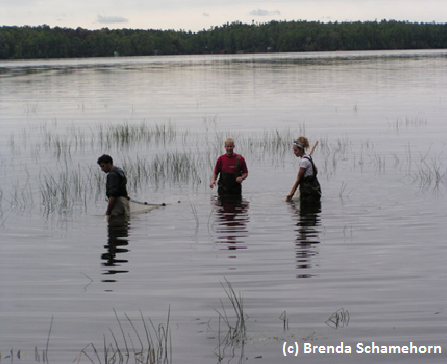 Seining for sunfish in Lake Opinicon. Fast forward a few (okay, many) years, and suddenly I found myself TAing that ecology course. 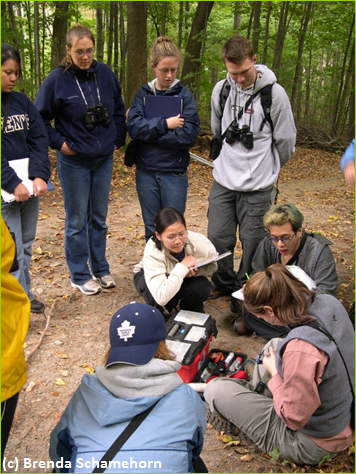 I was really excited to help organize and teach those field weekends – not least because it would be my first chance as a PhD student to teach something I felt passionate about. But I was also a bit apprehensive about it. The field weekend had been one of the most important parts of my undergraduate experience, but this group of students didn’t seem particularly excited about it. I was frustrated because I wanted them to love it as much as I had. Throughout the early weeks of September, I spent several long days at QUBS with the lab coordinator, preparing all the weekend activities – from digging holes for pitfall traps to carefully laying out and flagging grids of small mammal traps. In doing so, I got a firsthand look at just how much work was involved in pulling off the trip each year. Planning a field weekend for 160 young adults is no small task. The lab coordinator, who had been organizing these weekends for many years, was a bit like a general in charge of a very intricate military campaign. On the last Friday of September, she and I headed up to the field station late on Friday evening. I was driving the (very sketchy) departmental van, which made for a somewhat nerve-wracking drive. The brakes creaked ominously, and I couldn’t for the life of me figure out how to turn on the high beams. On top of that, the road was inexplicably covered in frogs – so the drive was a bit like an obstacle course, as I swerved first one way and then the other in an attempt to minimize the carnage. However, I made it unscathed (although sadly the same could not be said for all the frogs) – and upon arriving, was immediately put to work. It was late and dark, but there was so much to be done before we got to sleep. 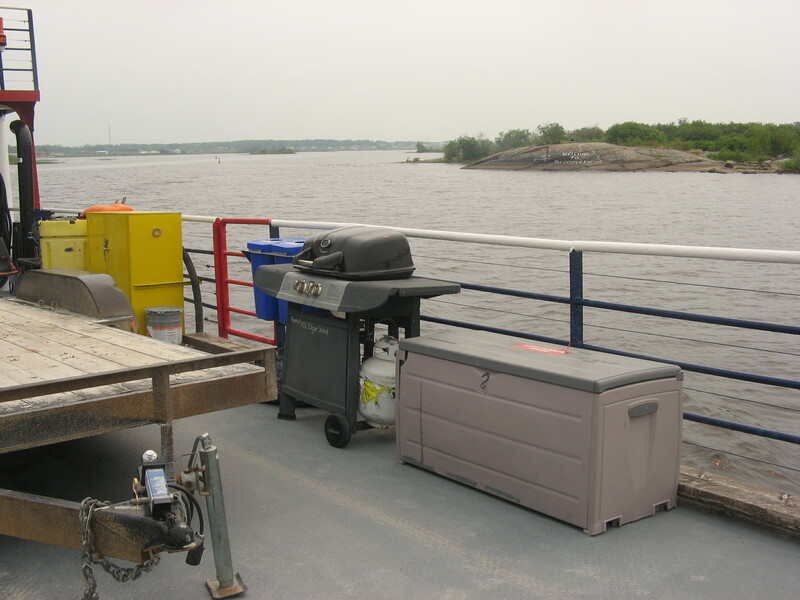 Cabins needed to be assigned, lists and maps needed to be printed and posted, and supplies needed to be distributed to the appropriate places around the station property. Finally, before falling into bed, we headed out to bait the 40 small mammal traps we’d laid out with seed. When we put the traps out earlier in the month, we’d flagged them with glow-in-the-dark flagging tape to make them easier to find. However, I learned a few valuable lessons that night. First, glow-in-the-dark flagging tape doesn’t really glow in the dark. Second, forests are tricky places at night, even with a headlamp. And third, spider eyes glow when light hits them. The last lesson led to another discovery: there are many, many, many more spiders in the forest than one might think. With the traps baited, everything was ready for the arrival of the students the next morning and I finally got to crawl into my sleeping bag – for a short time, anyway. Very early the next morning, we climbed back into the departmental van and headed out to meet the students. The bus had been scheduled to leave Kingston at 6 a.m., so it was no surprise that the students staggering through the doors into the cool fall morning were sleepy and cranky. Despite having been told multiple times about appropriate footwear, at least five or six of them were wearing flip flops. Several others were still in pyjama pants. They stood shivering in the field beside our grid of mammal traps, leaning against each other, yawning, and complaining about the hour and the cold. 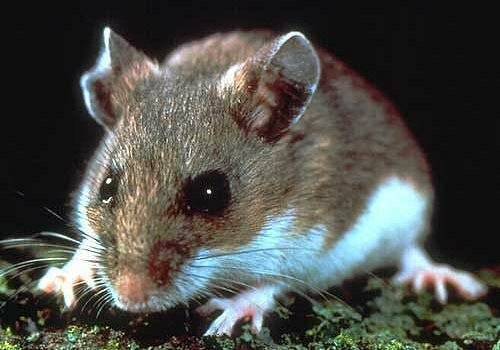 Who would have thought one little deer mouse could capture the attention of 80 undergrads? I watched as the coordinator carefully emptied the contents of the trap into a plastic bag. A surprised deer mouse slid out, which she then held up for everyone to see…and a collective “Ooooohhhhhh” rose from the students around me. All of a sudden, no one was yawning. Everyone’s eyes were on the deer mouse, and everyone looked awake and interested. Suddenly, I was less worried about the weekend. I ended up TAing that course for four years, and helping to run the field trip is still the most fulfilling teaching experience I’ve ever had. Every year I watched tired, cold, and disinterested students straggle off the bus on Saturday morning – and energized, excited students climb back onto the bus on Sunday afternoon. Please don’t misunderstand me: I know that the skills and techniques learned in labs are an essential part of a scientific education. But I think it’s also important that we give students a chance to explore the other side of science. For most people, the experience may change the way they think of the discipline. For some people – like me – the experience may change the course of their lives. Watching a grad student band birds at QUBS.